Whale and Dolphin Watch » End the killing of whales and dolphins by sonar. 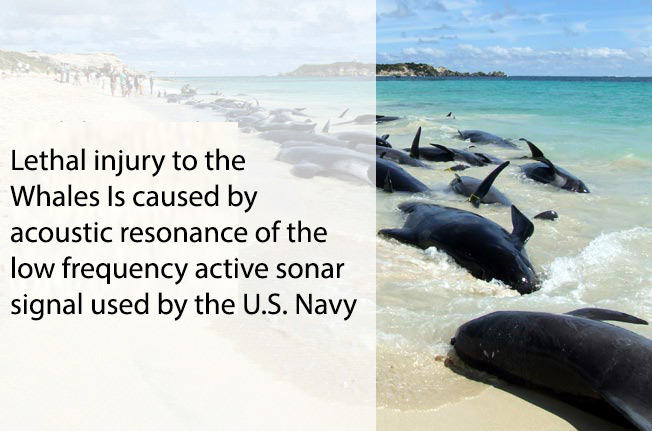 to use their deadly sonar in 75% of the world’s oceans and are doing so without filing the legally required Environmental Impact Statements. In the US alone, they are now legally allowed to cause 31 million instances of harm and thousands of deaths to cetaceans over the next 5 years despite the outcry of thousands of citizens. We are passionate about our relationship with nature and the well-being of the world’s oceans. At this time, science states that we only understand 5% of our world’s oceans. This means that 95% or more of the ocean remains a mystery. Without a clear appreciation and understanding of the oceans and the creatures that live there, humanity is creating great harm with obvious immediate results and unknown consequences into the future. Our mission is to call attention to the plight of the oceans and support organizations in creating a safe and sustainable environment where all marine life can thrive. The US Navy has permission to kill, maim & harass whales, dolphins & other cetaceans 31 million times over the next 5 years, despite the outcry of hundreds of thousands of citizens. 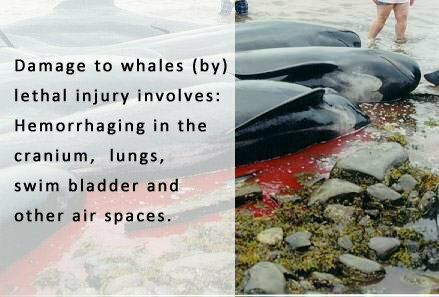 Tell the Department of Fisheries/NOAA to stop issuing permits for this slaughter! Join the movement! Sign the petition now! Copyright © 2019 Whale & Dolphin Watch. All rights reserved.